We have a range of self-driving removal trucks 16 - 18 cubic metres to suit your needs. 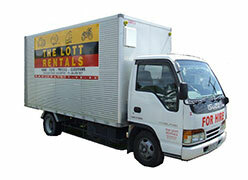 These are a popular vehicle used for moving, booking is recommended. We offer easy quotes that include insurance, GST and kms. 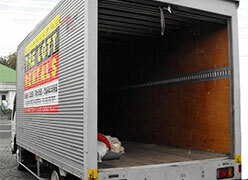 Our trucks have mandatory securing hooks to ensure the trucks can be taken to the south island. We offer pick up and collection times that suit you. Email us now for a quick and easy quote.